Jakub Szczepanik currently is employed as agile coach. Earlier he worked as Deputy Director in mBank IT, where he is supporting development teams and improving their agile competences, following his path in Allegro Group and during over 3,5 year successfully supported transition to scrum in Allegro.pl, Agito.pl and Payu.pl. He has experience as a Scrum Master and Project Manager in software development projects. 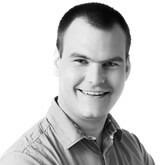 He is also co-founder of agile247.pl, polish portal about lean and agile. Fascinated by the change happening in organizations that introduced agile, determined to expand the boundaries of agile outside IT and product development. 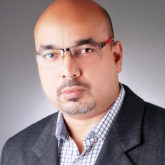 Utpal Chakraborty is a Software Solution Expert having around 19 years of Industry Experience, currently Head of Artifical Intelligence at YES BANK. He has also worked for Capgemini, IBM and other MNCs as an Architect and a Delivery Manager in his past assignments. Utpal is also a Writer & Director. He is Creative Director of three parallel Bollywood movies. He has written and directed a number of Short Films, Stage Shows and Feature Films. He is having strong theatre background & a stage player. Worked for couple of assignments from Bollywood & Hollywood like editing, rewriting and beautifying movie screenplays. He also worked as a faculty for screenplay writing in a number of national & international screenplay workshops.